JACKSON, Miss. 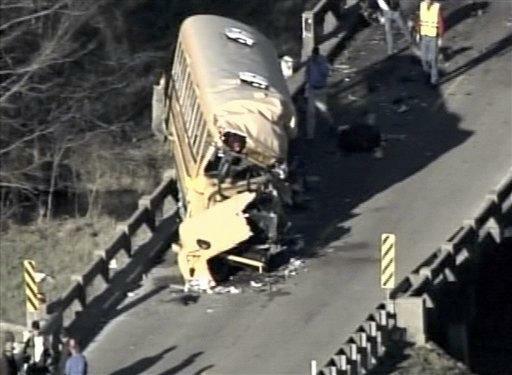 (AP) - A tractor-trailer sideswiped a school bus then collided head-on with a second Tuesday, killing the trucker, a bus driver and a teacher and injuring at least 17 high school students along a rural highway bridge in northern Mississippi, authorities said. Associated Press Writers David Brandt and Shelia Byrd in Jackson and Chevel Johnson in New Orleans contributed to this report.